When children ask, “What does broken heart mean”? 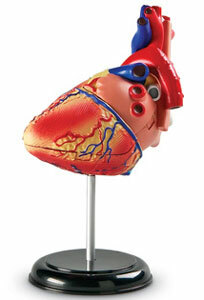 I think you need this Human Anatomy Model Heart to explain why. I know you won’t go into to the morbid details why hearts get broken. Instead it is a chance to explain how he should put his heart on his hand and take care of it; in what way the heart get hurts and how he can prevent it. In joining the National Health Public Week celebrated every April then parents should encourage their children to take care of their healthy and stay fit by giving this human heart anatomy.